Oh my god, you're genius!! And I totally agree... Natural fibers, please! Hahaha! 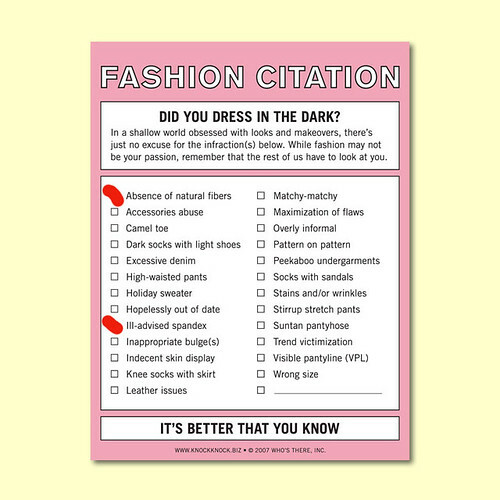 I love the Fashion Citation! My favorite box is "Leather issues." Thank you for making me laugh! I'm right with you on Vera Wang. I better not get my hands on them... so.. so... tempted.